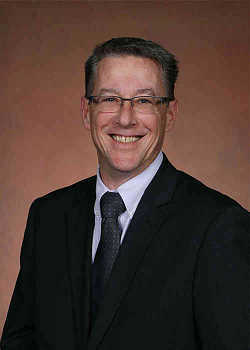 Photo: Gilles LePage, New Brunswick minister of Labor, Employment and Population Growth. While the Trump administration in the United States has stepped up detention and deportation of Caribbean and other immigrants, America’s next-door neighbor, Canada, is doing the opposite — welcoming immigrants. On Friday June 13, 2018, the Canadian government said ministers responsible for immigration met to jointly plan for the future of immigration in Canada. “As immigration is a key economic driver that supports job growth, innovation and diversity across Canada, the Federal, Provincial and Territorial (FPT) Forum of Ministers Responsible for Immigration (FMRI) met today to discuss key priorities for building on the success of the immigration system, ” said Immigration, Refugees and Citizenship Canada, the immigration agency, in a statement. “Focusing on how Canada can grow its economy and strengthen its competitive advantage through immigration, ministers noted that success will depend on a fast, flexible immigration system focused on a skilled and adaptable labor force,” it added. “Ministers discussed the importance of ensuring rural Canada benefits from increased immigration and the importance of increasing francophone immigration outside of Quebec,” the statement said, adding that the ministers also discussed the importance of highlighting the positive benefits of immigration to both our economies and communities. “Ministers placed emphasis on the need for improved labor market intelligence to ensure the immigration system responds to the rapidly changing labor market,” it added. Immigration, Refugees and Citizenship Canada, said that while the number of crossings into Canada, by undocumented Haitians and others from the United States, has recently decreased, the ministers “expressed willingness to work together to address the pressure of irregular migration, noting the importance of collaboration between the federal and provincial governments. “Ministers agreed on the importance of coordinated and ongoing contingency planning and supports in order to reduce pressure on provinces and municipalities that receive the highest number of asylum seekers,” the agency said. In reviewing the findings from the independent review of the Immigration and Refugee Board of Canada, the ministers discussed how to make the asylum system more efficient over the long-term, according to the statement. “Ministers stressed the importance of building on current co-planning efforts to strengthen collaboration across federal, provincial and territorial governments,” it said. “This is essential to address unique integration needs across jurisdictions while ensuring that newcomers are successfully integrating socially and economically. “Reflecting on accomplishments, global migration trends, challenges and opportunities, ministers discussed immigration priorities for a renewed strategy and action plan beyond 2019 to meet the FPT governments’ shared objectives and priorities,” it added. Ahmed Hussen, Canada’s Minister of Immigration, Refugees and Citizenship and federal co-chair of the Forum of Ministers responsible for immigration, said Canada’s immigration system is “key to supporting our country’s economic prosperity and to strengthening our national identity. “I look forward to continued collaboration with my provincial and territorial colleagues to support orderly and fair migration, to keep Canada globally competitive by spurring innovation and economic growth, and to build more diverse and inclusive communities through the successful settlement and integration of newcomers,” he said. He said the country’s future economy depends on “our continued, coordinated efforts to attract and integrate talent from around the globe. “Provinces and territories look forward to building on our discussions today on how, together, we can continue to grow our workforce, communities, and country,” LePage said.